Lymphocyte blood cell. 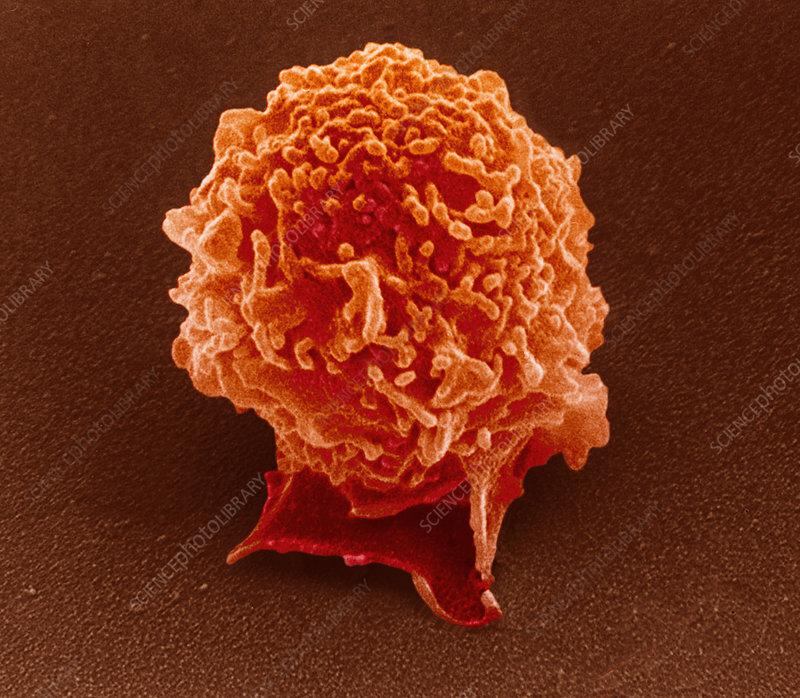 Coloured scanning electron micrograph (SEM) of a lymphocyte, a common type of white blood cell. Characteristic of this rounded cell are the long microvilli which project from the cell surface. These microvilli may assist in cell motility. Lymphocytes are involved in the immune response, acting to protect the body against infection. Two main types of lymphocytes occur in the human body: T-cells and B-cells. T- cells (thymus-derived) track down and help to actively destroy foreign bodies. B-cells (bone marrow-derived) identify foreign microorganisms and then make antibodies. Magnification unknown.